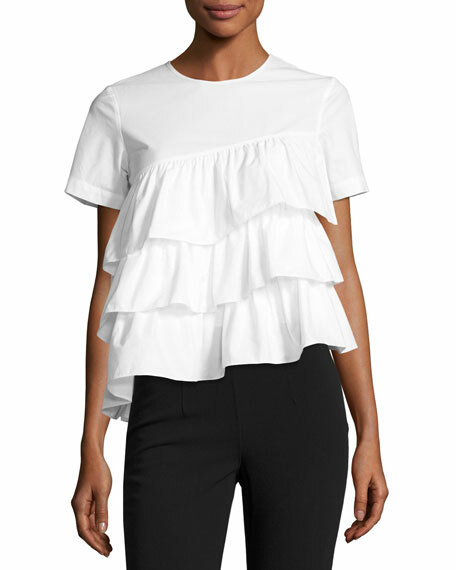 Co poplin top with tiered ruffled. For in-store inquiries, use sku #2029408. 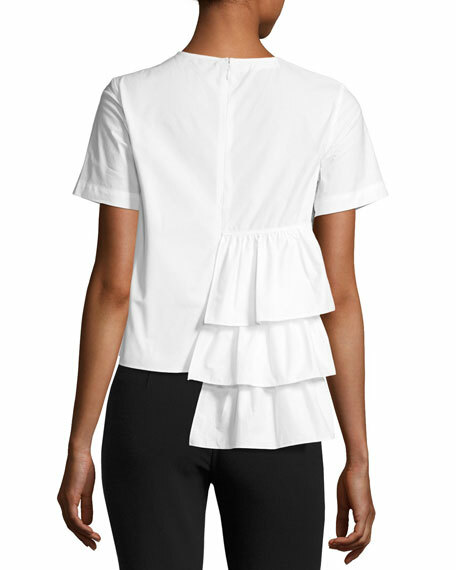 Roland Mouret top in cotton poplin. Bateau neckline. Short sleeves. Fit-and-flare silhouette. 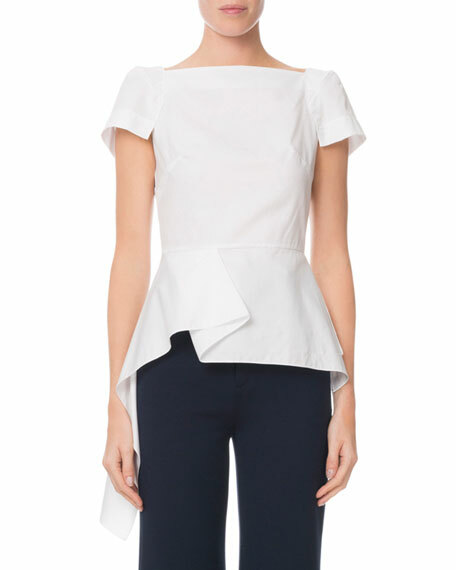 Asymmetric, draped peplum. Back zip. Cotton. Made in UK.